In journalism what does it mean to do no harm? Why are ethical integrity and intersectionality important parts of reporting and storytelling? 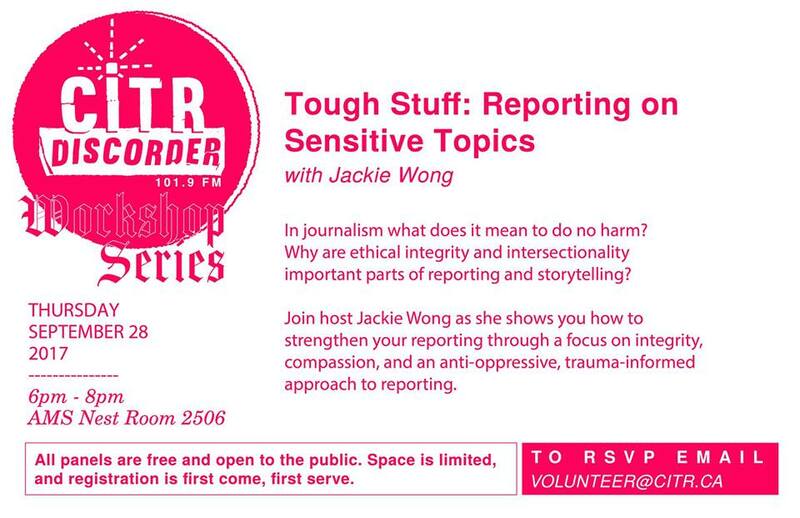 Join host Jackie Wong as she shows you how to strengthen your reporting through a focus on integrity, compassion, and an anti-oppressive, trauma-informed approach to reporting. Topics will include the importance of research, community relationships, reporting on sensitive and difficult topics, working with sources, avoiding stereotypes, accountability, and more. Jackie invites you to bring your questions for an interactive, process-based discussion! The session will open with a presentation about process and working perspectives, and then we’ll open the floor to hear from you. Jackie Wong is a Vancouver-based freelance writer interested in public health, drug policy, race and equality. She has previously worked as the editor at Megaphone, as a housing reporter for Tyee Solutions Society, is one of the founding facilitators for Community Journalism 101 at SFU Woodward’s, and has facilitated classes on media literacy, narrative production and social change. 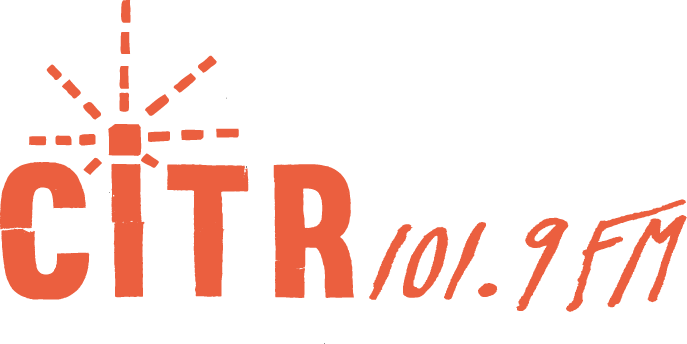 Workshops are free and open to the public, but space is limited – email volunteer@citr.ca to RSVP and save a spot! The panel is located in Room 2506 of UBC’s The Nest at UBC. The Nest is located at 6133 University Blvd at UBC, which is accessible via bus numbers #4, #9, #17, #25, #33, #41, #43, #44, #49, #84, #99, #258, #480. The entrance to the AMS Nest is a set of double doors that are 68″ wide when both doors are open, and 34″ when one door is open. One of the doors may be opened by pushing the automatic door opener button located to the right of the doors. Inside the Nest, there are two elevators which open 48″ wide. Room 2506 is located on the second floor of the Nest. The door to enter the room is 34″ wide. The room’s capacity is 50, and we will let attendees know if the RSVP list fills up, though we do not anticipate this. There are gender neutral and accessible washrooms on every floor of the Nest. If you have any additional questions about accessibility, please contact Eleanor at volunteer@citr.ca.